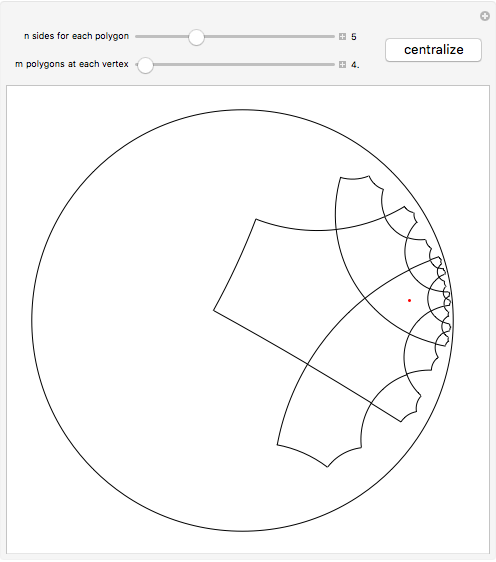 This Demonstration shows the beginning of the tiling of the hyperbolic plane (in the Poincaré disk model) with regular -gons, of them touching at each vertex inside the tiling. 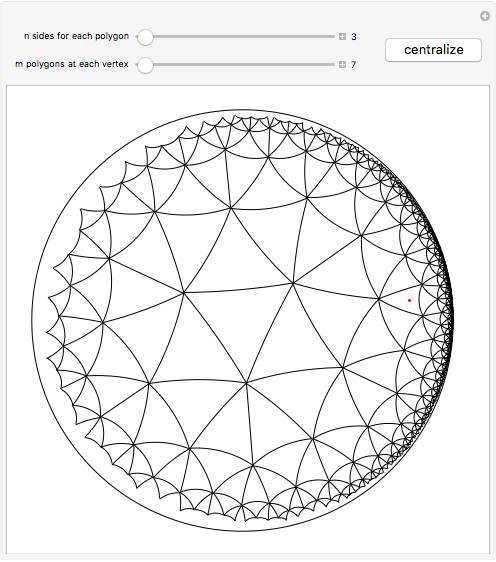 (There may be fewer than polygons touching a vertex near the boundary of the current tiling.) 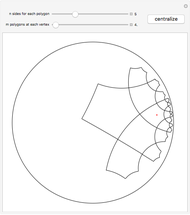 Click the plane to change where the center appears. 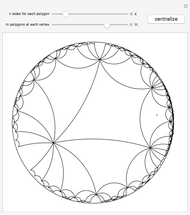 For every pair of positive integers satisfying , there is a tiling of the hyperbolic plane with regular -gons such that -gons touch at each vertex. 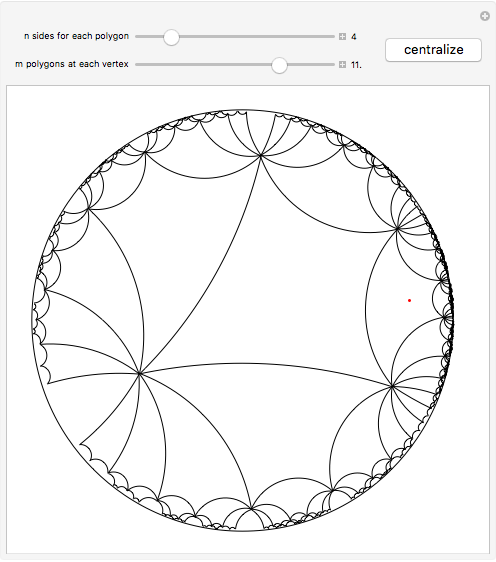 Since isometries of the hyperbolic plane act transitively on it, the center of the "initial" -gon (from which we start the tiling) can be chosen anywhere in the hyperbolic plane. Wikipedia. 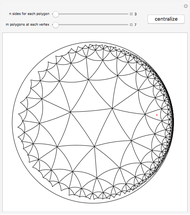 "Uniform Tilings in Hyperbolic Plane." (Mar 1, 2013) en.wikipedia.org/wiki/Uniform_tilings_in _hyperbolic _plane. Gašper Zadnik "Tiling the Hyperbolic Plane with Regular Polygons"